Copyright © 2019 American Falconry. All Rights Reserved. 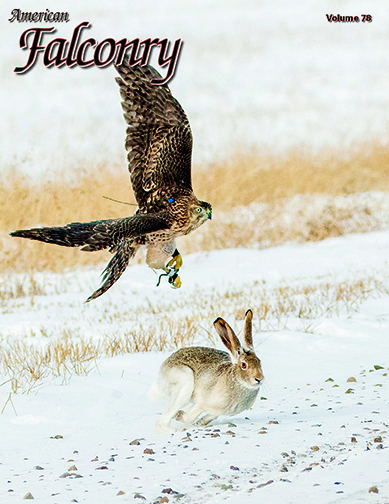 American Falconry is a magazine that is devoted entirely to the sport of falconry and is produced by practicing falconers. Each full color issue contains some of the best photography in the industry. 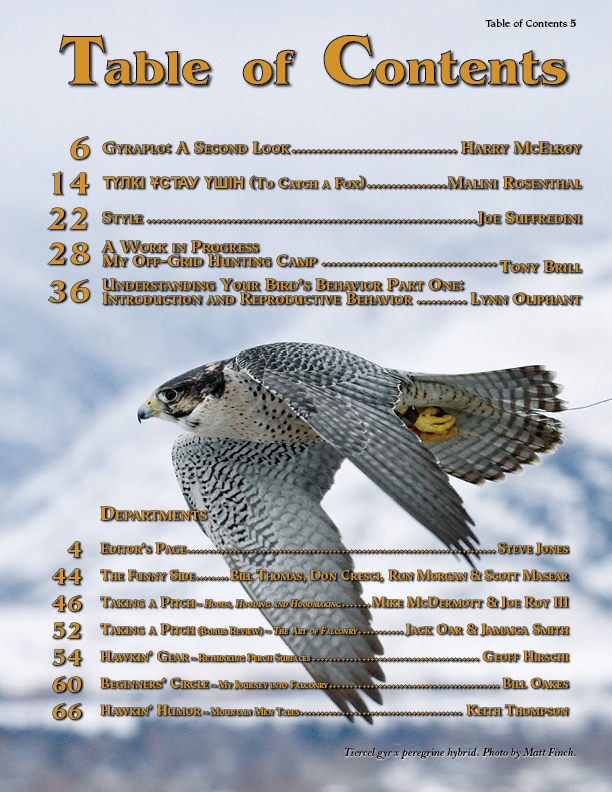 American Falconry is published quarterly and is jam-packed with fascinating articles covering the latest techniques in training, captive breeding and dog handling. Additional articles contain humor, adventure, personal viewpoints, and information for both the expert and beginner. Well-known authors and a fine departmental writing staff have set a new standard for falconry publications. Volume 78 is currently being printed and is scheduled to mail March 6. It's another good one. You won't want to miss it. If you're not already a subscriber there is still time. Go here and sign up. Your first issue will be Volume 78. You can also take advantage of our special offer and get four free back issues. Just go here to take advantage of this limited time offer. This offer will end March 31, so get them while you can.